Pastor Babar shivered under his thin jacket. He walked up to a group of villagers huddled around a blazing fire in the early morning hours. Warming his hands, the GFA-supported pastor shared a story about Jesus to the chilled figures gathered around the heat of the flames. This joyful story constantly burned in his heart, no matter how cold the weather was outside. 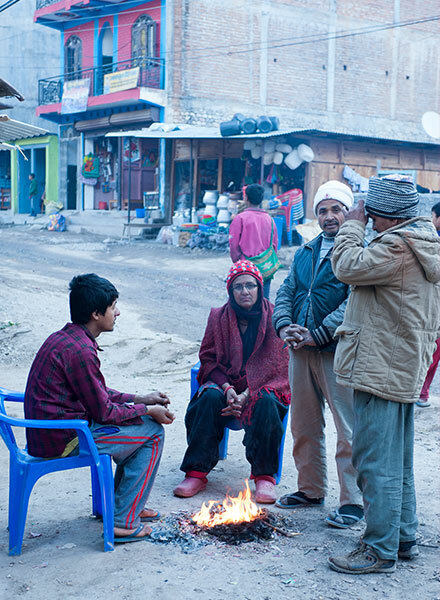 Villagers in cold regions in Asia often can be found warming themselves by fires outdoors, as many do not have indoor heating. As the sun rose, villagers in the area where Pastor Babar served would gaze out their windows waiting for the sun's rays to warm the outdoors. For those with meager winter clothing, it often wouldn't heat up enough to travel until nearly 10 a.m.
Every morning, Pastor Babar opened his sleepy eyes in the early hours to pray over the day before him. In the wintertime, he read Scripture and prayed while tucked underneath layers of blankets to keep himself from becoming too cold. "It is very difficult to get up in my house early in the morning because of the cold weather," Pastor Babar shared. "And unless I have warm water, I cannot brush my teeth, nor can I take a bath or wash myself with cold water. So I have to heat water…"
Even though there were days when the temperature would drop below freezing, Pastor Babar never stopped his ministry. November through February were the most difficult months to endure. During those days, he would pull on nearly every piece of warm clothing he owned to face the outdoors. He endured splitting headaches; dry, cracking skin; and the common cold to visit the men and women he pastored. Pastor Babar reads his Bible and prays each morning before he starts his day ministering. In the wintertime he wraps up in a blanket, like this GFA-supported national worker pictured. In nearly the same climate and region of Asia, Bible college students looked at the teacher in the front of the classroom. Giant puffs of air sporadically appeared throughout the room as the men exhaled. The temperature was freezing, and it was difficult to take notes, as fingers grew numb from the chill. Focusing on the lessons of the day was extremely difficult because of the brain fogginess and lack of solid sleep they experienced caused by the cold weather. It was a long morning on campus for the students. For some, the sleepless night spent shivering meant they began their days already tired. Others who managed to sleep well enough, moved about in their rooms getting ready for the day. But when it was time to wash their faces and brush their teeth the water was frozen. The students knew they must get up and serve, but there was a strong temptation to perform outdoor morning chores wrapped up in bedding. Later that day, maybe some of them would go into nearby villages to share the hope they held in their hearts—but not until the sun was fully up. It has been reported that it is 20 times more likely for someone to die in the cold weather than from the heat. Insufficient winter attire causes many of these deaths. Pastor Babar and the Bible college students felt deep inside their hearts a calling to carry their Lord's love to others, even though they had to face the inconveniences of the cold. It was a love too good to withhold. While they shared the love they knew, they encountered many families suffering during the wintertime with insufficient clothing and blankets. For many laborers, winter made working for daily survival incredibly difficult, and oftentimes, they had no extra cash for buying winter garb. Even though the winter seasons are a hardship, GFA-supported national workers such as Pastor Babar (not pictured), don’t let the frosty air hinder them from serving others. But God saw the needs and difficulties of the villagers, Pastor Babar and the students in the Bible college. People across the world displayed compassion by giving resources for warm coats, hats, scarves and blankets. These warm items were given with joy to the Bible college students, Pastor Babar and other GFA-supported pastors and workers, and some villagers during a GFA-supported Christmas gift distribution. With his thick, warm winter coat, Pastor Babar can now venture outdoors at any hour of the morning to meet with believers who need prayer. He can stay outdoors longer and doesn't need to worry about his health or focus on rushing home each night before the temperature drops and becomes even colder. The men at the Bible college can bundle up in their winter clothing in the classroom and study more comfortably. As they share the Christmas story with those around them, they don't have to worry about catching sickness—their bodies are protected by the warmth of their coats. "I am grateful to those brothers and sisters who saw me in need, who understood how it is difficult to serve the Lord in … cold weather and high altitude," Pastor Babar said after receiving his new winter coat. "I am thankful to them from the bottom of my heart. I would like to thank them for thinking about me and giving me this jacket. Now my prayer is that the Lord would bless them and the Lord would use them to encourage the people like us on the mission field." You can put a bright smile on someone’s face this winter by giving them warmth in the name of Jesus! Last year, GFA was part of distributing more than 170,000 blankets. You too can meet a need this winter by giving toward winter clothing packets or warm blankets! 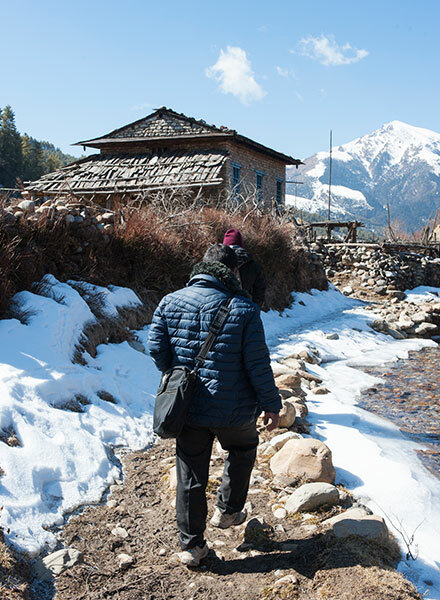 Support the faithful men and women who risk their lives in cold climates and also help bring winter clothing and blankets to needy families across Asia today. R480 provides one winter clothing packet.